Carlos Cruz Diez belongs to Venezuela. The artist is known for his expertise in the field of kinetic and op art. Currently the artist is living in Paris. Carlos is focusing on his career as a professional artist and an arts teacher as well. He is utilizing his knowledge by serving in Paris and in his home land. The artist has worked for several years to learn the art. Hence there is a long journey behind his success. 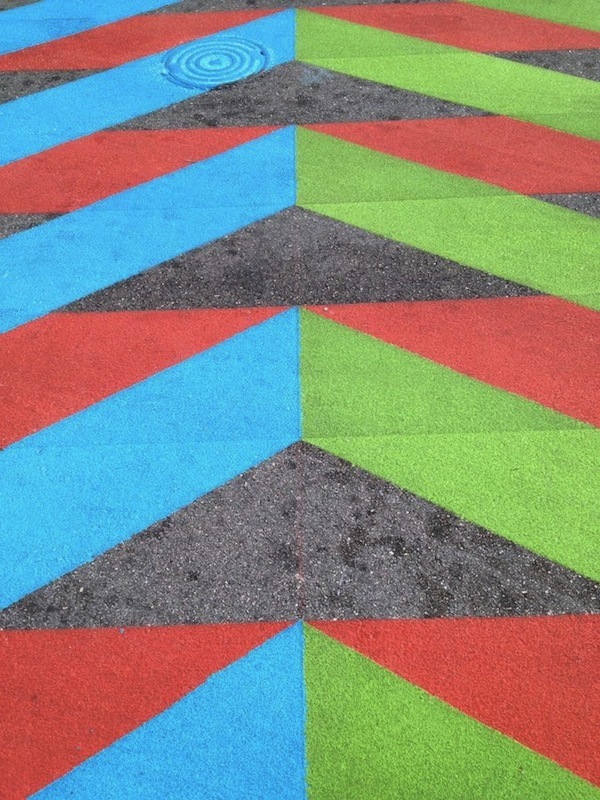 He worked as a representative at public art sites as well as served in museums. Hence his vast knowledge and extra ordinary understanding of arts has made him outstanding in his field. In 1957 the artist started working on kinetic arts. He was interested to learn its effectiveness on human mind. He was curious to know about the impact of colors on human minds. He worked at Estudio de Artes Visuales. There he actually investigated into the depth of colors and their role. The artist has also worked as graphic designer in France. 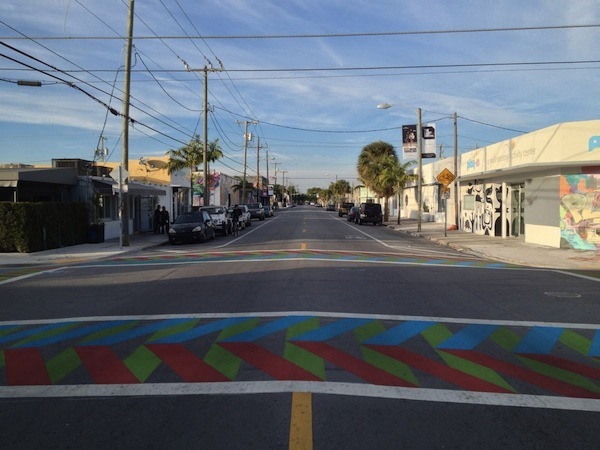 Knight foundation in coordination with Miami biennale’s Wynwood Ways came up with the idea of making streets more attractive. 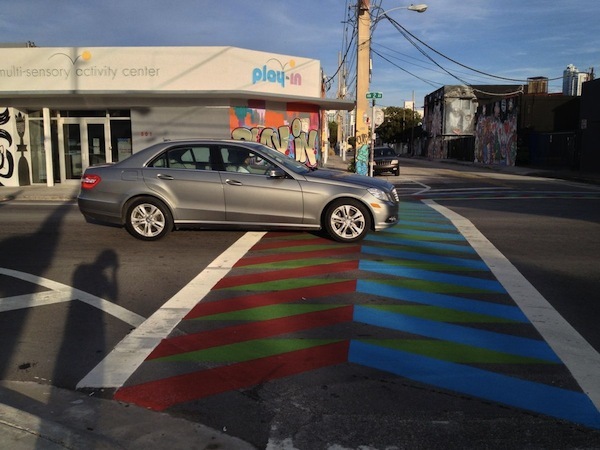 The Wynwood art district association in collaboration with Cruz Diez’s foundation supplemented the idea with the artistic sense. 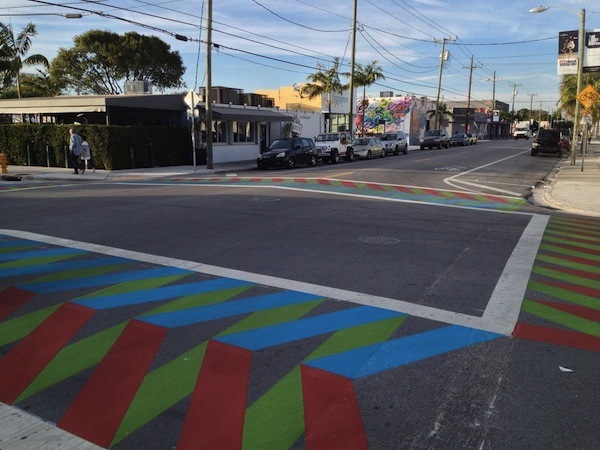 Hence Carlos played a key role in the project and made streets in Wynwood beautiful with colors and their abstractions. The basic idea behind this whole project was not only to beautify city but to also make the city more cultured and civilized. 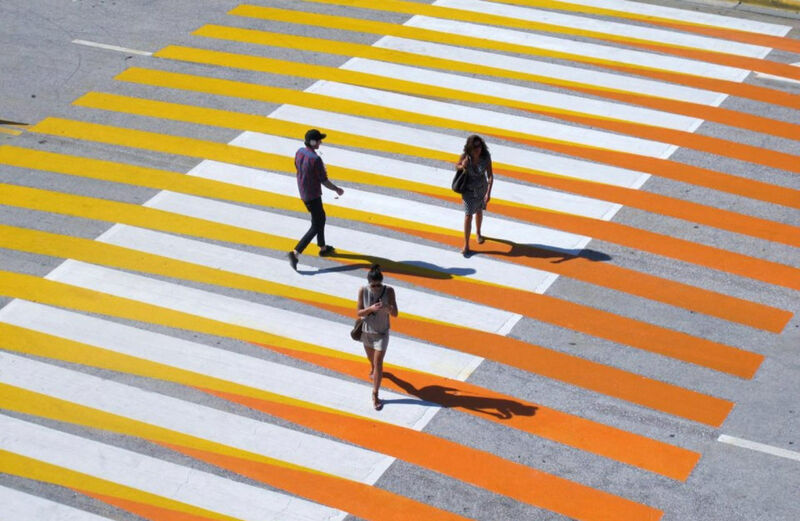 The cross walk art would work as a source to give the entire city a new look which gives a fresh and more cultured feeling to the civilians. 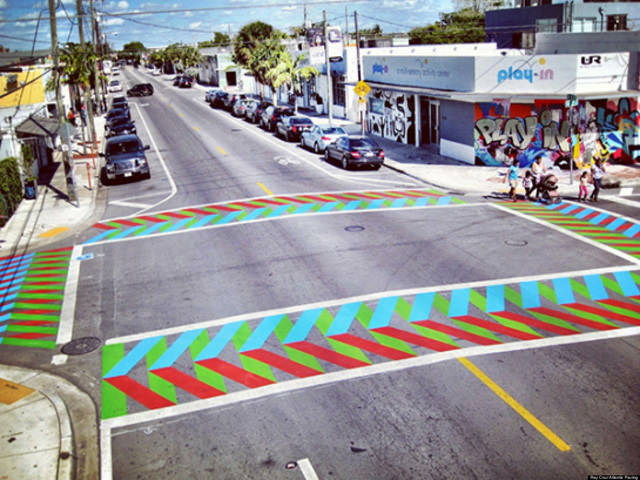 In the beginning of this year the artist Carlos worked on the project of making Miami streets pleasing and eye catching. The tourists also visited the place more often therefore the idea was to give the city a more urban look with vibrancy and liveliness in the air. 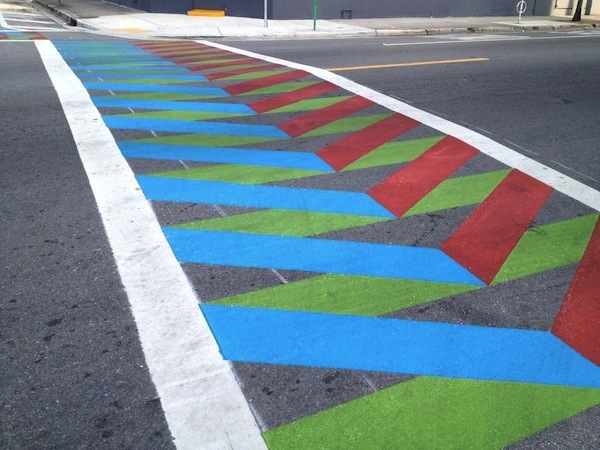 The idea of making colorful cross walk ways consist of making the walk ways printed and painted so that people will have the sheer joy of walking across the city. 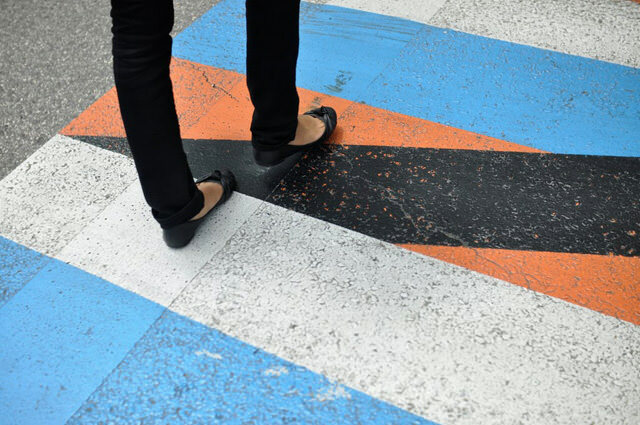 Hence amazing cross walk arts with a humorous vibe in them was created by Carlos and it really worked to enhance the vivaciousness of the city.